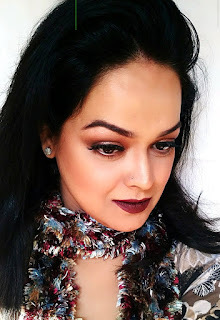 Hi All..today's review is about Boots No 7 Protect and Perfect Foundation.Now finding a perfect match foundation is as difficult as finding a perfect life partner rather more ;) Like most ladies I too was in search of The Perfect Foundation and then one lucky day I landed on this and since that day there's no looking back. 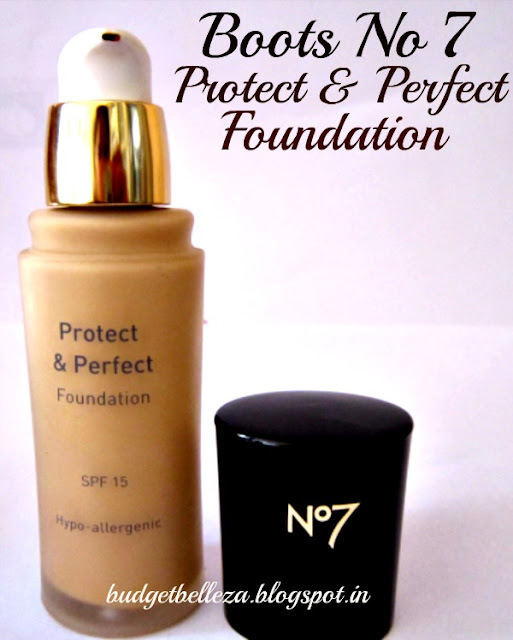 No7 Protect & Perfect Foundation is flawless and perfect. No7 Protect and Perfect foundation contains light-diffusing beads which soften the appearance of lines and blemishes, immediately beautifying skin as it is applied. The silky soft formula includes our unique antioxidant complex, lipo-peptides and SPF15, which helps to boost, maintain elasticity and protect against the damaging effects of free radicals.No7 Protect & Perfect Foundation is available in seven flattering shades. This ultimate beautifier works in harmony with the protect and perfect serum, making your skin feel younger, luminous and fresh day-by-day. Boots No 7 Protect and Perfect Foundation comes in a classy packaging. The glass bottle though looks nice,isn't travel friendly. The shiny black cap adds to the beauty of the bottle. The pump dispenser allows controlling the amount well and is hygienic too. I have stopped searching for a perfect foundation for myself...Period! This is the best foundation I've ever come across. The shade suits me to the T. Its like my second skin..Oh! I so love it :) The texture is super light yet the coverage is awesome. 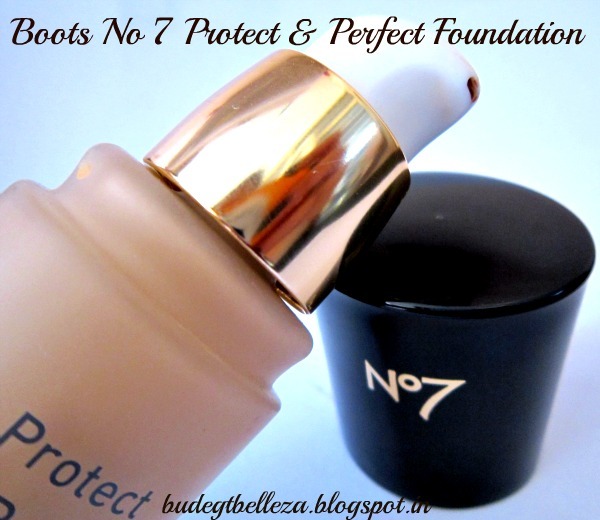 Considering I don't have noticeble dark circles or blemishes,Boots No 7 Protect and Perfect Foundation gives a flawless finish to me. (I know you must be thinking Ugghh if she doesn't have any blemishes or under eyes,any foundation would do good..no babes I do have slight pigmentation on the cheeks) This foundation works wonderfully well to hide the pigmentation and oh boy! I just don't use any concealer along with this..So much coverage yet it never gives a white cast to me,and it gives really good results when I'm clicked..its very camera friendly foundation. Just a pea-size of it is enough to be applied on the full face,so a little goes along way. It has no significant smell. Its hypo-allergenic which means it is less likely to cause allergic reactions (read here). 1. 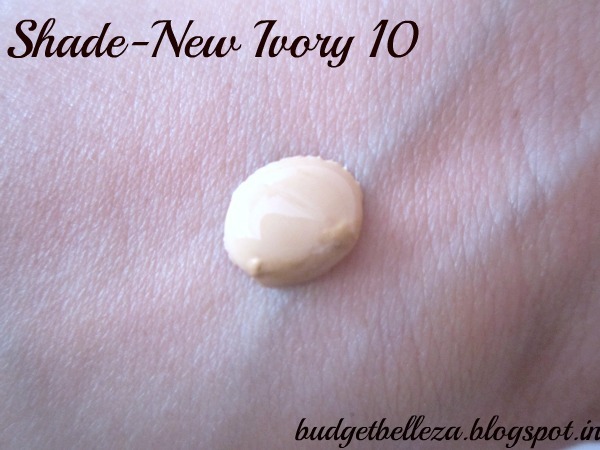 The shade New Ivory 10 matches me perrrfectly. 2. Feels very light on skin. 4. Does not leave a white cast. 5. Small amount is required for the whole face. 8. Gives a flawless dewy glow. 9. Hygienic and classy packaging. 10. Pump dispenser controls the amount. 12. Appropriate consistency..neither runny nor thick! 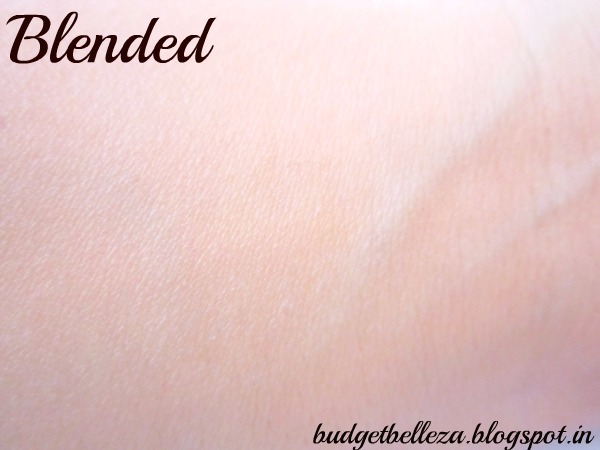 Last Word: Though it comes in a glass bottle and isn't very travel friendly still for a formula like this,I would have loved it equally even if they gave me this in a tomato ketchup bottle ;) This is my perfect foundation! i feel this very expensive...so never tried..bt nice review. 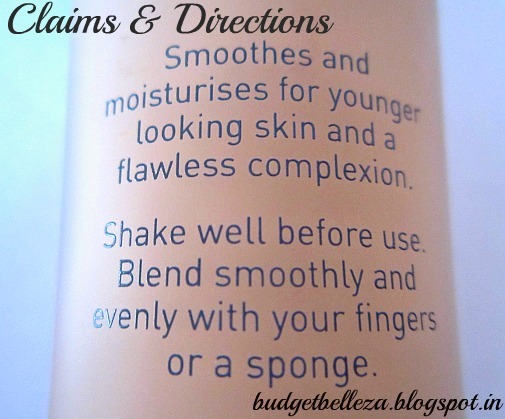 The foundation works well on you, flawless and fresh. I want to have one of those. But, I think I can't spend my money on that one. We both felt the same way! Hope you can receive more of those pretty things. I had used this before & absoulutely love it. Yeah I'm so happy with this one! Aditi - nice review - you look so pretty and your skin is so healthy! Oh thank u Shalini,u made my day! your self? Anyway keep up the excellent high quality writing, it is uncommon to see a great blog like this one these days..